(FCC) has a fully Equipped Integrated and Automated Production Line and has plans to undergo production expansion to achieve a capacity of 1.2 Million tons per annum in the coming years. Our technology and technical expertise form a perfect partnership to deliver the best quality production to our valued customers. 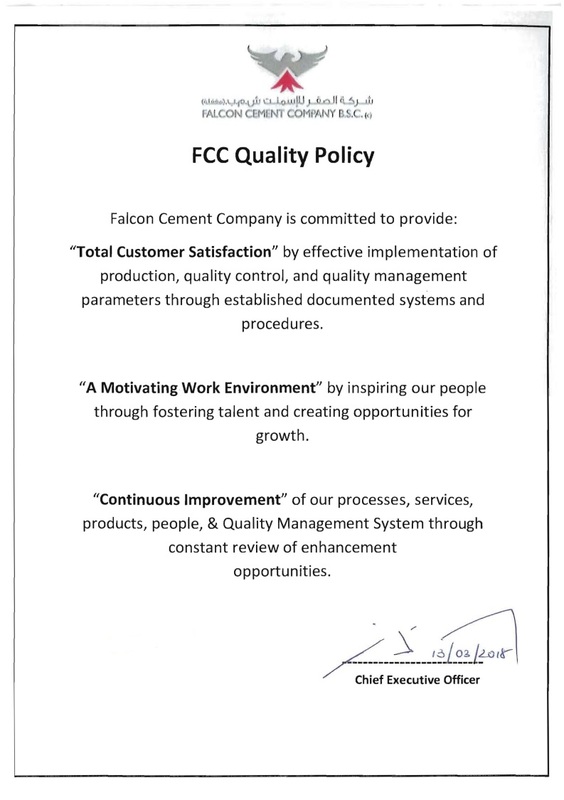 Falcon Cement Company provides top quality products to meet its client's requirements. 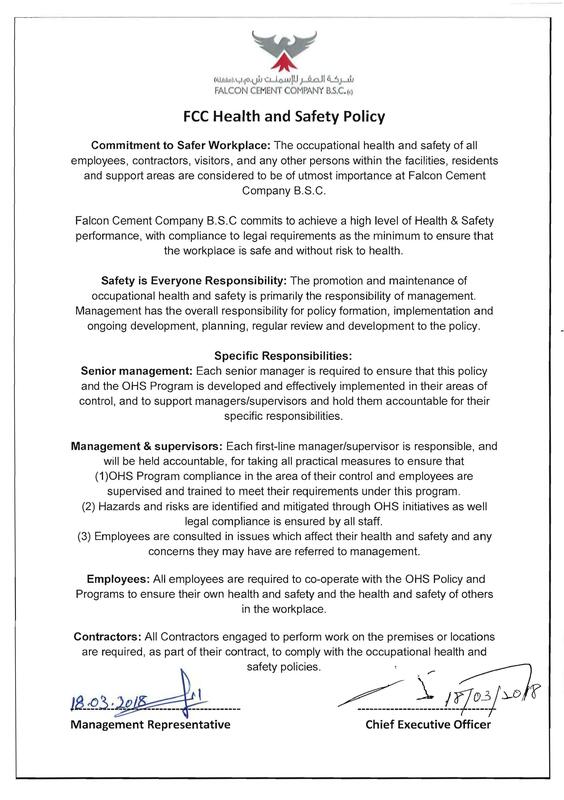 A list of our products can be found here. 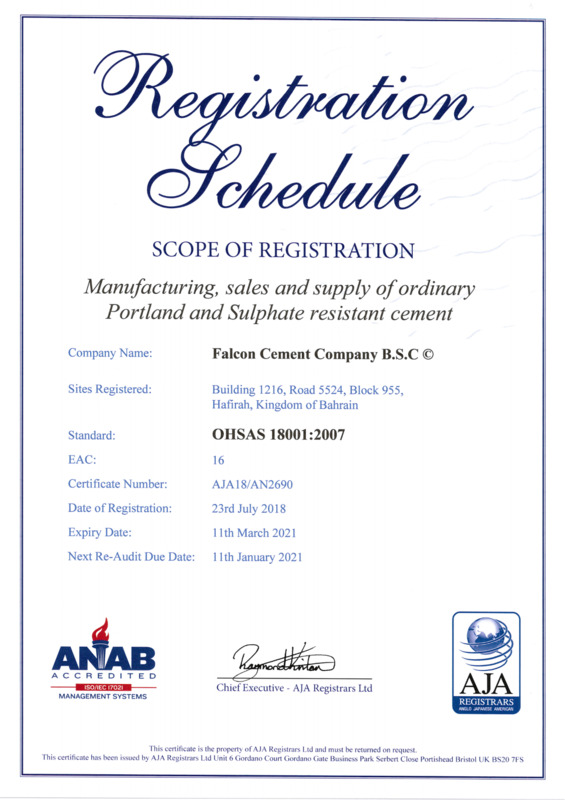 FCC-OPC is produced by inter grinding of cement clinker & recommended dosage of gypsum, confirms to BS EN 197-1:2000, Strength Class 42.5 N & GSO 1914-2009: Portland cement Type-1.Cement physical strength quality surpasses all limits of standard at all ages. 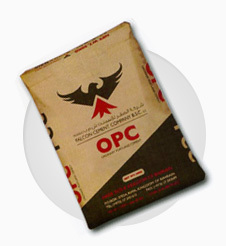 Applications: Falcon cement OPC is most commonly used cement in all constructions including plain and reinforced cement concrete,brick and masonry ,floors and plastering.It is also used in the finishing of all types of building, bridges, culverts, roads, water retaining structures, etc. 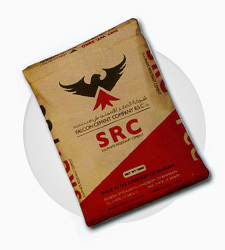 FCC cement is marketed in bulk and also specially designed 50 kg bags. 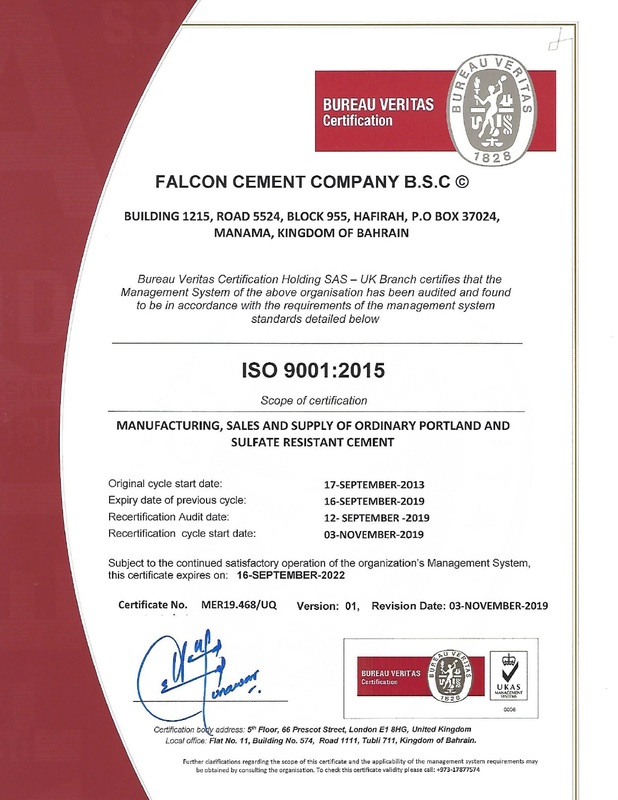 FCC-SRC, produced by inter grinding of cement clinker & recommended dosage of gypsum, confirms to BS 4027:1996, Strength Class 42.5 N & GSO 1914-2009 : Portland cement Type-V. Sulphate resistance is achieved by limiting the level of C3A content (main component which influencing resistance to Sulphate attack). 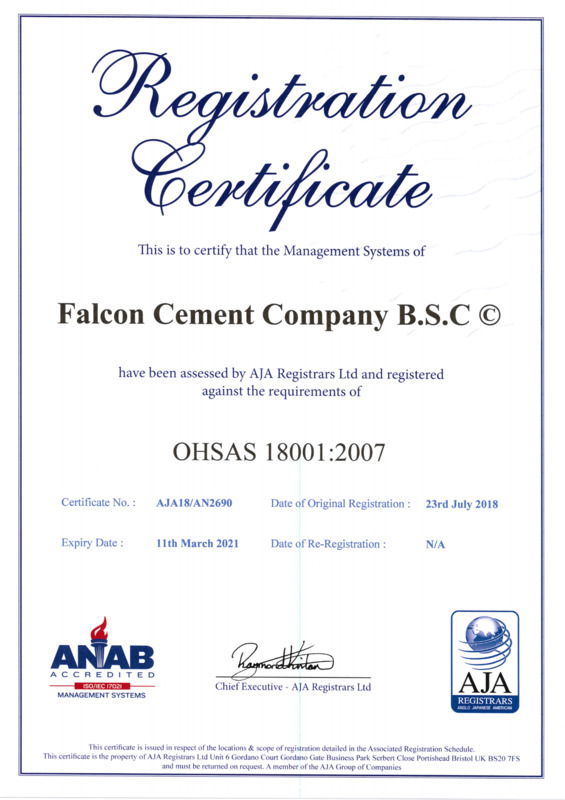 Applications: Falcon Cement company SRC- is used for Structural concrete subject to Sulfate rich environment, PCC, Sewerage treatment structures, piles, underground structures and Foundations, Precast concrete, etc.